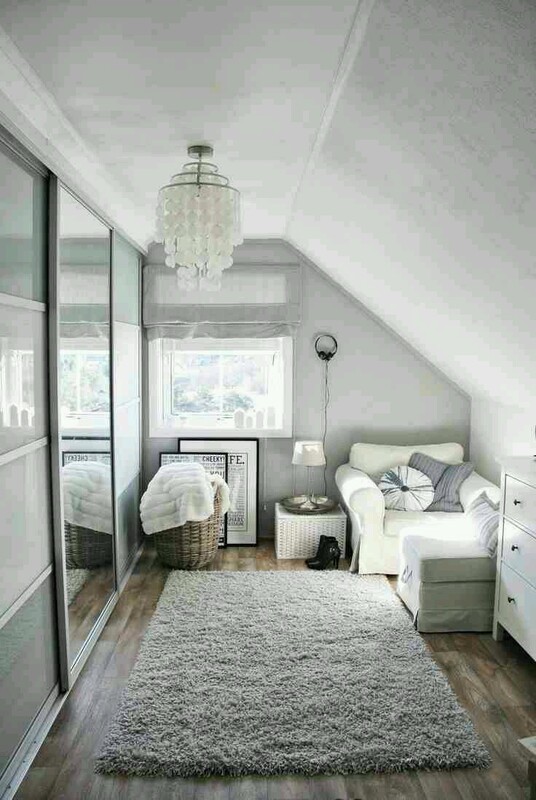 If you have a sloped ceiling or need to make an attic space liveable, simply arrange the furniture in a way that makes the most sense. Here you see the dresser is against the shorter wall which is smart because you don’t need much clearance above a dresser. Turning cubed bookshelves on the side or making built ins on the shorter walls are also smart solutions without compromising storage. Floating shelves over file cabinets can create long desk space. Instead of a mirror over the dresser, they opted for a tall one that’s hung against the full sized wall. When you’re working with a small area, buy individual furniture pieces instead of sets. Buying sets may be a better deal but they are harder to squeeze in rooms and when you have furniture too large, the space ends up feeling smaller. Buying tables on legs allows for floor pillows, small ottomans and poufs to tuck under easily. They can be used for additional seating. Tulip tables and others made pedestal style are great in smaller areas. If you have one sofa, consider buying one or two chairs instead of loveseats as it’s easier to move around a chair in an awkward layout. Use dressers for tv stands which can hide unsightly cords and dvds etc. Not convinced about a dresser? See examples here. I love Ashlina’s new Austin home. Here is another example of using a chair instead of another sofa. In her living room, the bench does double duty as a table but can easily be cleared to sit another three. 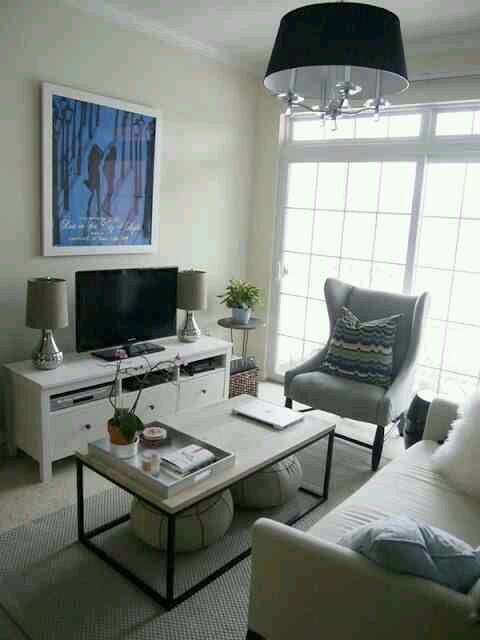 So don’t feel you need to have a typical two sofa, coffe table and two end tables for a living area. Think outside of the box and think about pieces that can tuck inside each other or fit a space better. Side tables can be used for a lot of things and Bedside chairs can serve as a catch all instead of a nightstand. Check out my archives for more ideas. Have any space saving tips? Previous Post Just some interiors I like…. I love Ashlinas place too. It’s so mr.